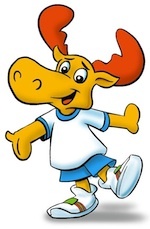 If you live in Ontario, you probably haven't heard of Marc Scott - but you've probably seen him if you watched children's shows on TVOntario, the province's educational broadcaster (similar to PBS). He used to perform as the costumed character known as "Polkaroo", a polka-dotted kangaroo on the station's preschool TV series Polka-Dot Door from 1985 to 1993, and on later series such as Polka-Dot Shorts (1993-2001) and on Gisèle's Big Backyard (2001-2007). His name has recently returned to the limelight - in a less than flattering way - after he attracted the attention of his former employer. 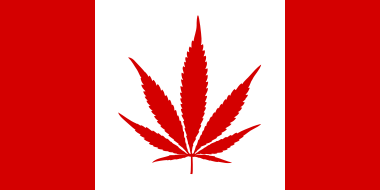 He's received a cease-and-desist order and might face a potential lawsuit for creating and wearing an "unauthorized parody" of Polkaroo, named "Tokaroo", a red-eyed and brown-furred marijuana-smoking marsupial he created in celebration of Canada legalizing Marijuana on October 17, 2018. Amid Amidi of the Cartoon Brew uses this new GEICO commercial to ask, what is an animated cartoon and what is reality, anyway? 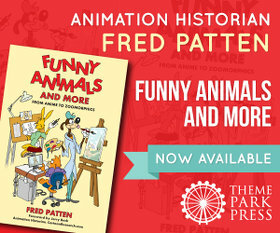 – a meaningful question for anthropomorphic fans today. Chappell Ellison reports for the Cartoon Brew on a regional Canadian airline's use of a jetsetting raccoon businessman mascot, Mr. Porter. More importantly, Ellison documents how this goes against the trend of airlines like American Airlines and Qantas replacing their familiar animal mascots with impersonal, stylized mascots, and why this is a big mistake in his opinion. An animated TV commercial featuring Mr. Porter is included. 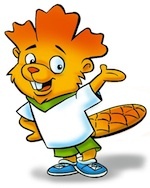 Earlier today, Pachi the Porcupine was revealed as the Toronto 2015 Pan Am Games mascot, in front of thousands of children at the annual Kids CBC Day in Toronto. CBC featured the mascot in action on their Toronto evening news. 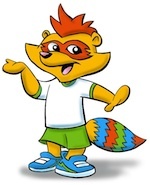 Of the six finalists, Pachi was also most-liked by the public, in the online voting contest that gathered over 33,000 votes, according to the official press release. The voting contest results contributed 10% to the final score, along with other criteria including "embodies the spirit and values of the competition" and "has 'strong kid appeal'". 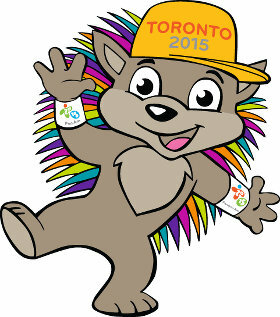 Organizers received 4130 submissions for the mascot, which was narrowed down to 108 in review before selecting the six finalists. 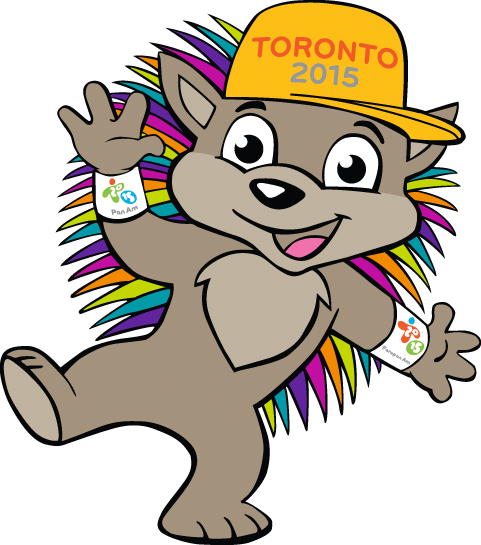 The "Pachi Pals" – Grade 8 students Paige, Fiona, Michelle, and Jenny, from Markham, Ontario, part of the Greater Toronto Area – designed the porcupine as a class project. Correction (July 20): 33,000 was the number of votes received for all six finalist designs, not just for the winning entry as I initially reported. Animation Scoop’s Greg Ehrbar reports that Foodfight!, the coming-soon CGI theatrical feature announced ever since 2004, has finally come out – as a direct-to-DVD release, on May 7. 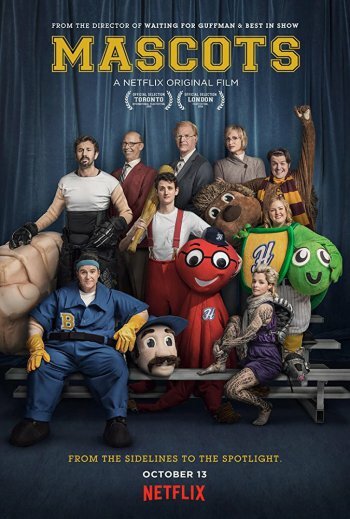 This is definitely one for Crossaffliction’s proposed MST3K for bad anthropomorphic movies. Ehrbar reviews Foodfight! as, “It is truly one of the worst animated films ever made.” That is evident from the 1’44” trailer alone, which is included in the AS review. See more: Original finalist designs, prior to conversion to Pan Am colours and style by illustrator/animator James Caswell of Sheridan College. In 2013, Moscow will play host to the 2013 World Championships in Athletics. 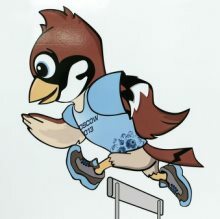 On Wednesday, organisers unveiled the event's mascot – an anthropomorphic sparrow in a blue T-shirt and running shoes. The bird shares a lot of qualities with the athletes: It's quick, light and nimble. 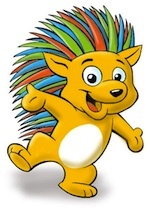 Brazilians cast almost 1.7 million votes in choosing Fuleco, an anthropomorphic three-banded armadillo, as the mascot for the 2014 FIFA World Cup games (soccer). A fursuited mascot is featured in the BBC's TV coverage. 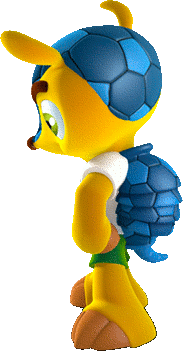 But while Brazilians approve of the armadillo as a mascot, the way the name was chosen – a three-way online poll – is less popular. Over 23,000 signed a petition requesting a "more democratic" process, with some asking for a name featuring the vulnerable species itself. This July MX Collectibles is releasing a set of 6-inch tall collectible busts, modeled after various university mascots. And the first set of four is decidedly furry! 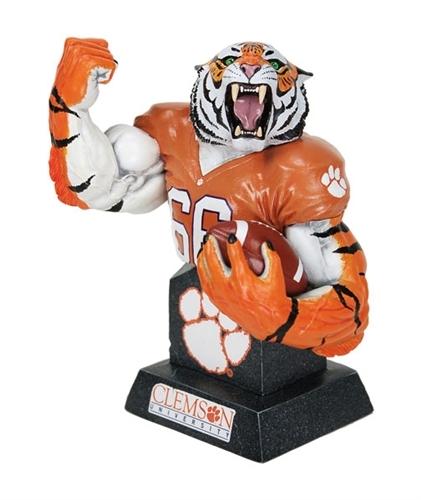 Check out their web site for the new busts of the Louisiana State University Tigers, The Clemson University Tigers (pictured below), the University of Memphis Tigers, and the Brigham Young University Cougars. Each of these busts was created by well-known collectibles sculptor Clayburn Moore.